We use professional DSLR Cameras, the fastest Dye Sub Printers in the market, and the same software used at theme parks like Disney World...so your guests will be amazed! 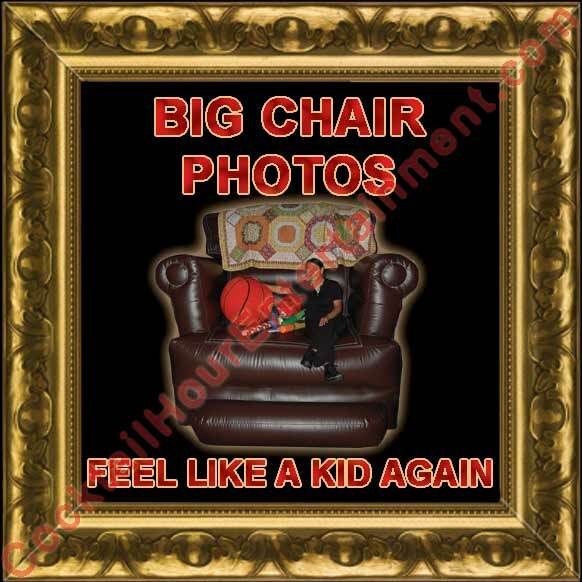 You'll receive a master CD or a link to download all your photos! 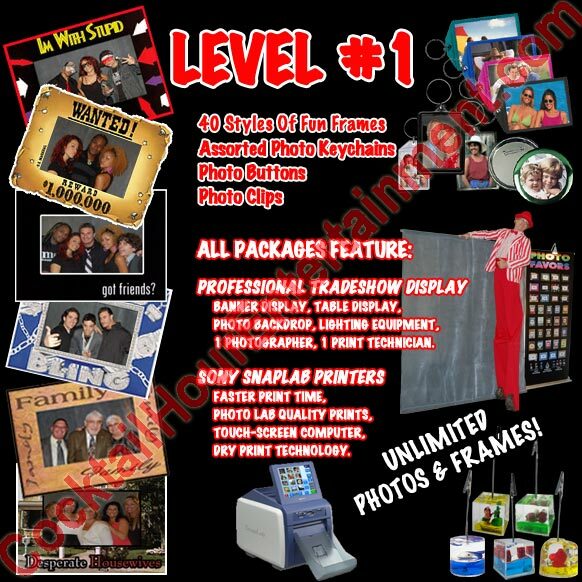 We can customize or combine any package below to fit your theme or budget. 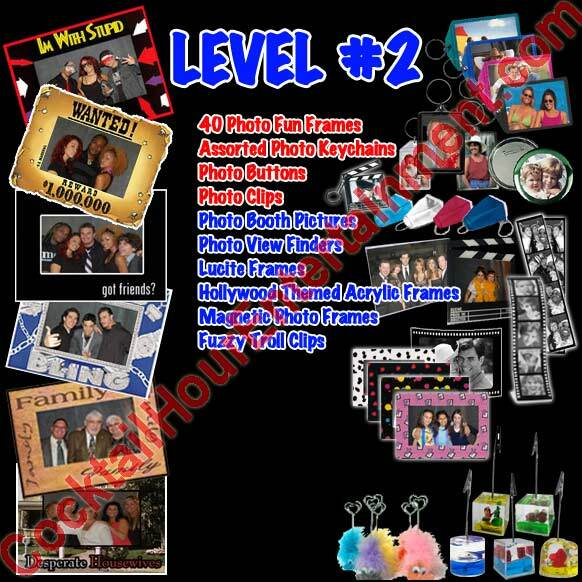 Photo Favor Level #1, Level #2, Level #3, Level #4, Green Screen Photos, Prop Shop Costume Photos, DigiPix/3D Pix/Flip Pix, Red Carpet Photos, Fantasy ID Cards, Movie Posters, Magazine Covers, Flip Book Photos, Photo Booths, Big Chair Photos, Funny Photos, Pop Art Photos, iTunes Photos, Big Head Photos, Rock Star Photos, Hip Hop Photos, Mug Shot Photos, Instacam Photo Booth, Phone Cases, Sublimation Favors, Trading Cards, Digital Photo Frames, Logo & Date Of Affair Printed On Photos, Custom Banners, and more! 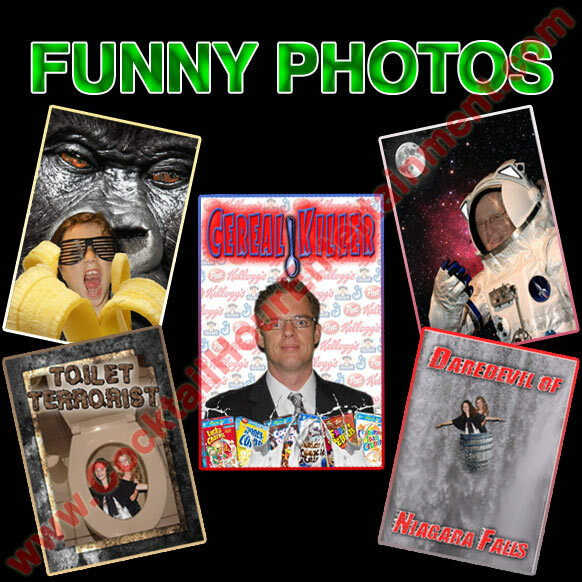 · PHOTO FUN FRAMES over 40 styles to choose from! 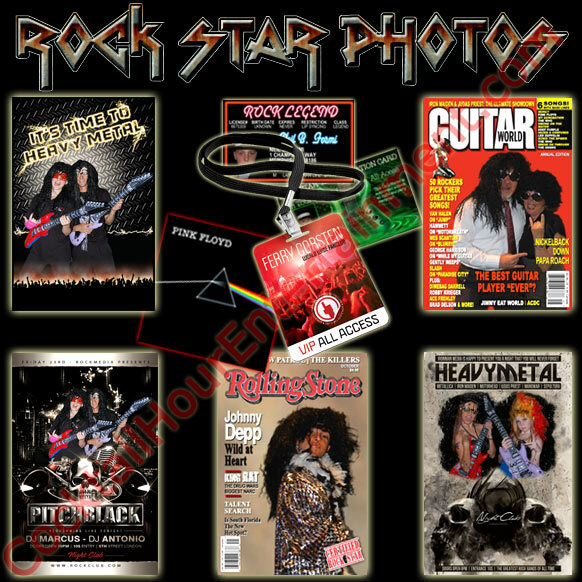 · PHOTO KEYCHAINS 10 styles to choose from! · PHOTO BUTTONS clip these high quality photo buttons anywhere. · ALL OF THE PREVIOUSLY LISTED FAVORS! · ALL OF THE PREVIOUSLY LISTED PACKAGES! 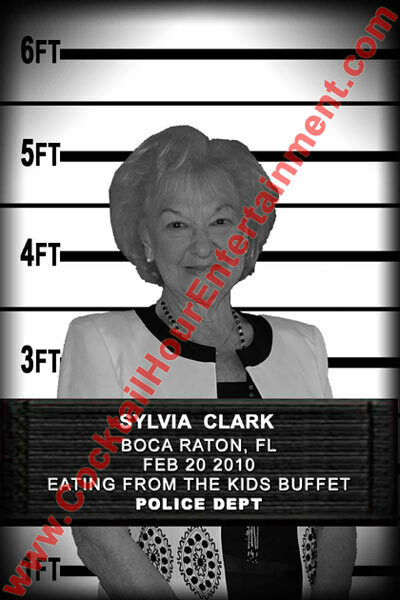 How It Works: Guests choose a background design, and then their photo is taken in front of a Green Screen. Their photo is instantly shown on our TV display with their background design so guests can see their photo BEFORE it is printed! Photo are printed out and framed in 7 seconds! Theme-Related and Custom Backdrops are available. they're just plain pictures of your guests standing in front of a green screen. 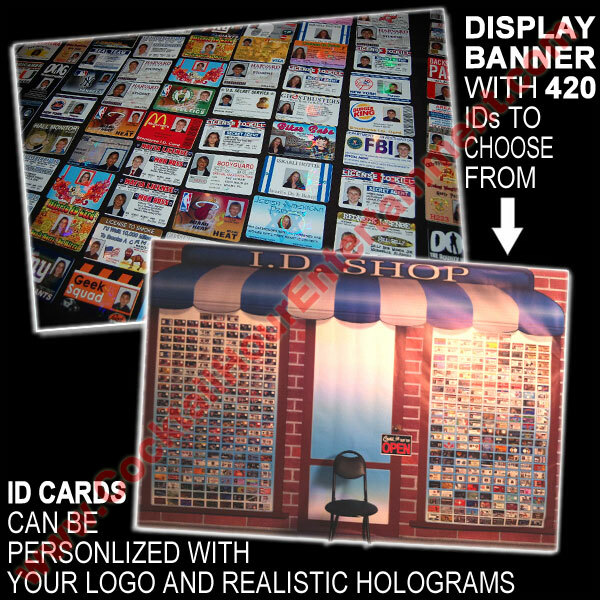 Our Commercial Grade Dye Sublimation Printers produce High Quality 330 DPI, 4x6, full color prints in 7 seconds per print! FYI: Most printers take 45+ seconds to print 1 photo-quality 4x6 photo! Just like Green Screen Photos except we bring hats, wigs, sunglasses, signs, costumes, and a costume attendant. 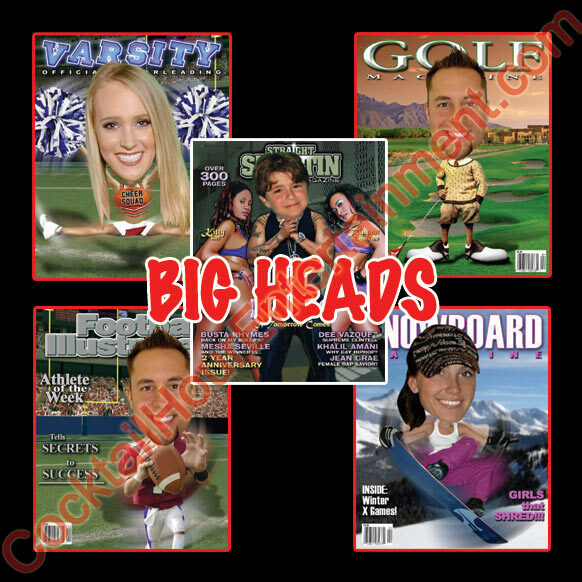 Printed with a pattern of up to 4 of your images or logos! 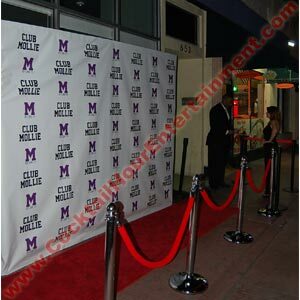 8' High x 10' Wide 16 oz vinyl, Full Color...yours to keep after the event! print real drivers licenses! 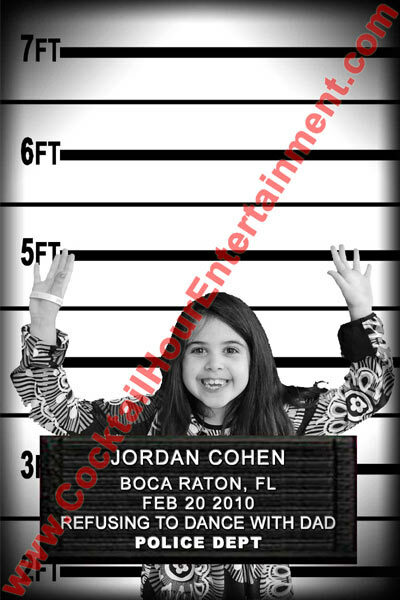 We dont make fake IDs so don't ask! We make approximately 45 Flip Books per hour. broken down into pieces and put in the trunk of your car. 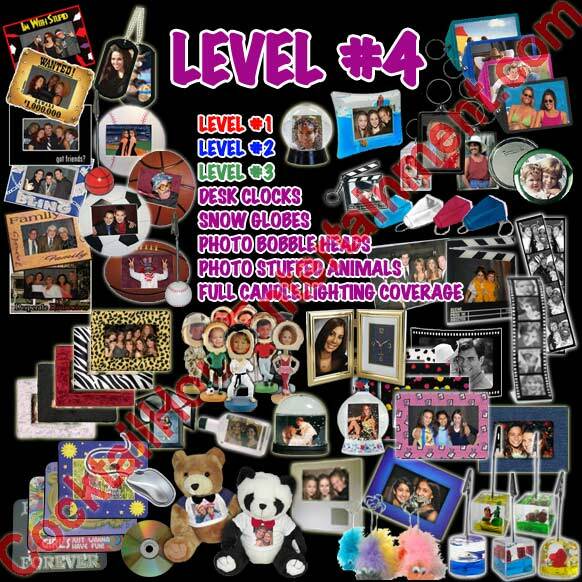 Props, Digital Master Copy of all photos, and Scrapbook. 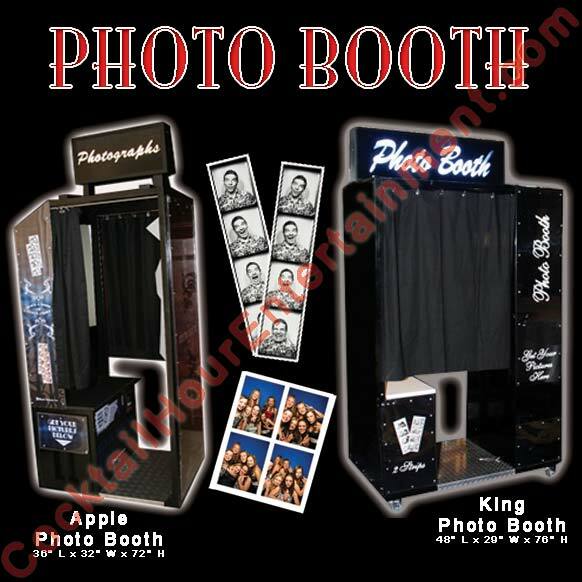 Client Logo(s) can be added to the Photo Booth print outs at no charge. 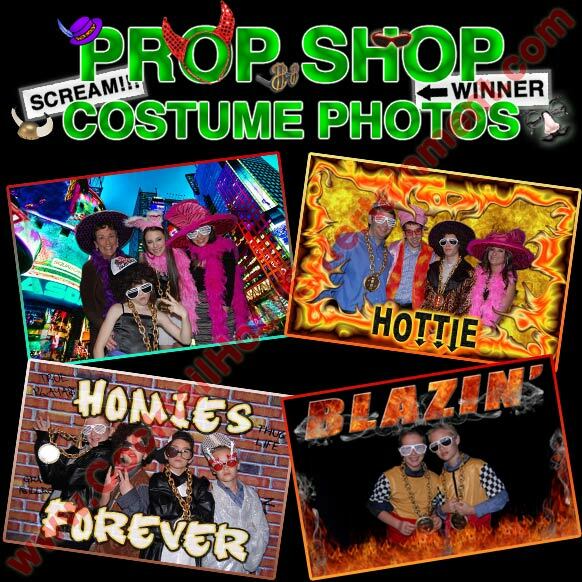 Guests choose from a variety of Fun Photo Effects. 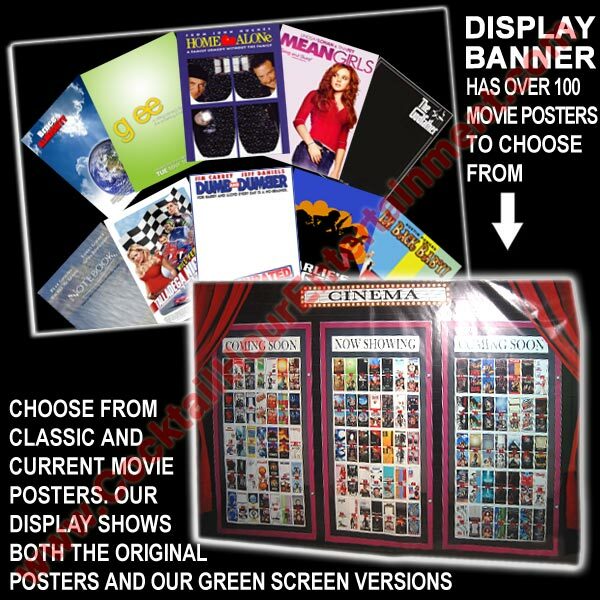 Theme related colors, images, and text can be added at no additional charge. clear Acrylic Frames, and Magnetic Frames or Keychains optional. 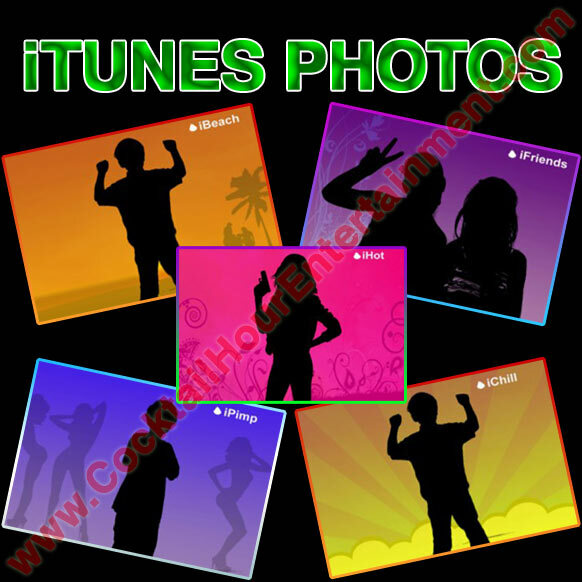 Guests Photos are created with their silhouette to look like the famous Apple iTunes Images. 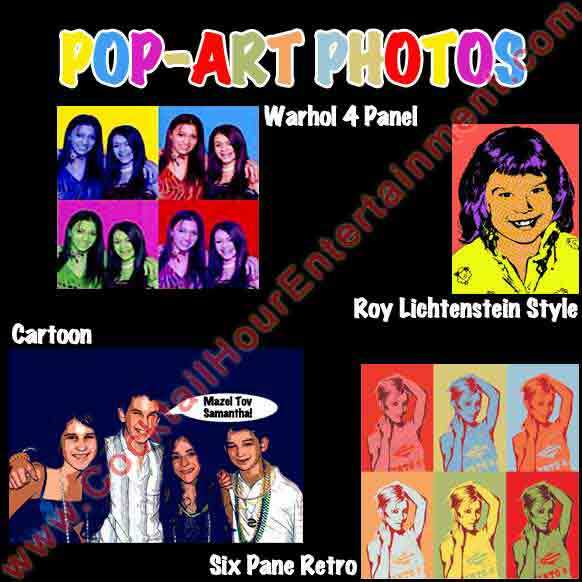 Photos are printed out in matte frames or clear acrylic frames. 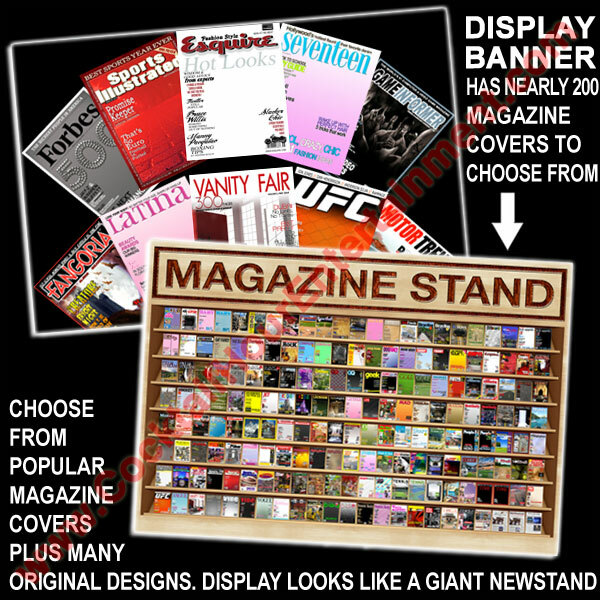 or Magazine Covers. Hilarious results and a great keepsake! Custom backgrounds available. in 16 seconds per print! FYI: Most printers take 60+ seconds to print 1 photo-quality 6x8 photo! 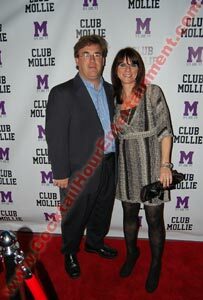 and we add their name and have their photo printed out in Matte or Acrylic Frames to take home. 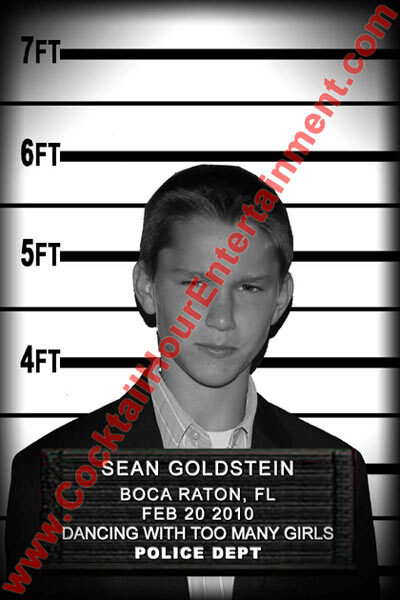 You get your own police record of everyone who got booked that night. 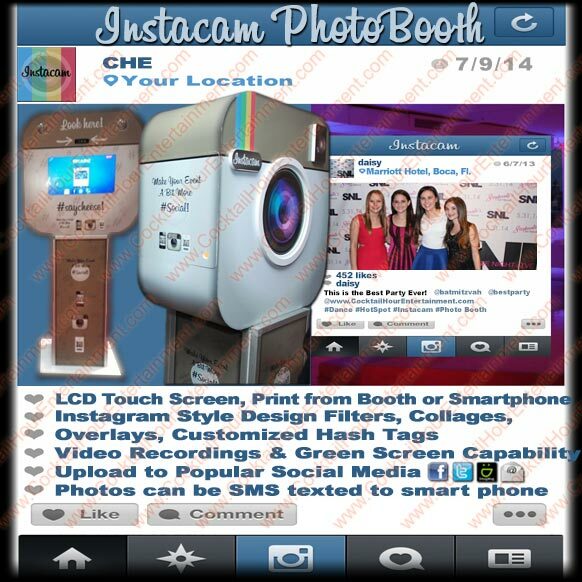 The newest version of the InstaCam Photo Booth is a combination of photo booth technology and social media. 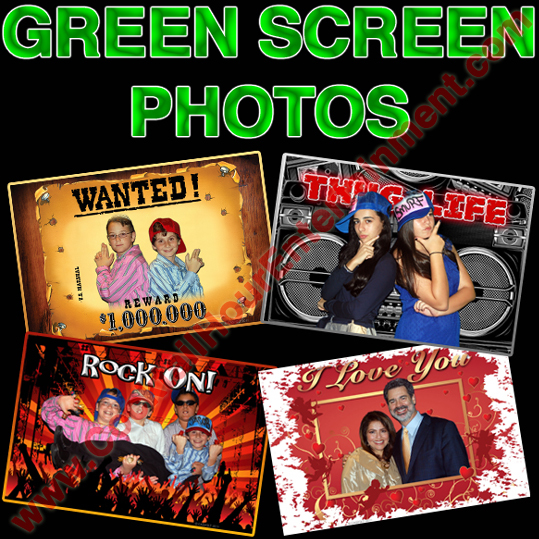 any of our 1000's of custom layered (overlays & backgrounds) green screen designs into the Instacam Photo Booth! 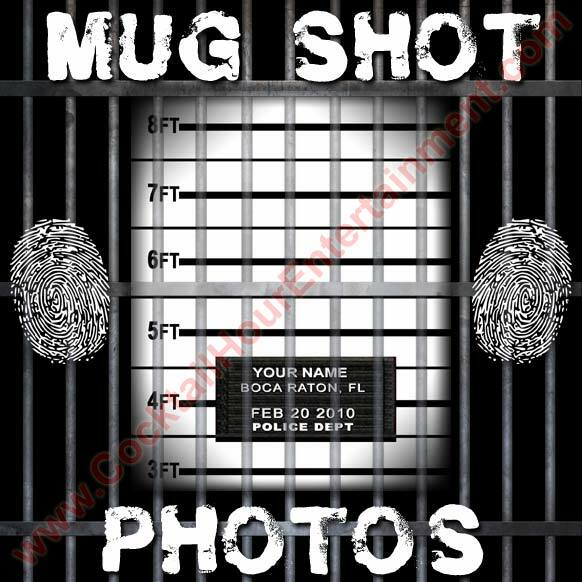 We can also add your logo(s) and custom design(s) to print on all your photos. Magnetic auto-open heat press which prevents over-application so every phone cases is pressed to perfection! In other words the heat press operator can't lose track of time and burn the phone cases! · PHOTO FAVORS to match your theme!· 2nd PHOTOGRAPHER to take table pictures, family portraits and many other candid shots! 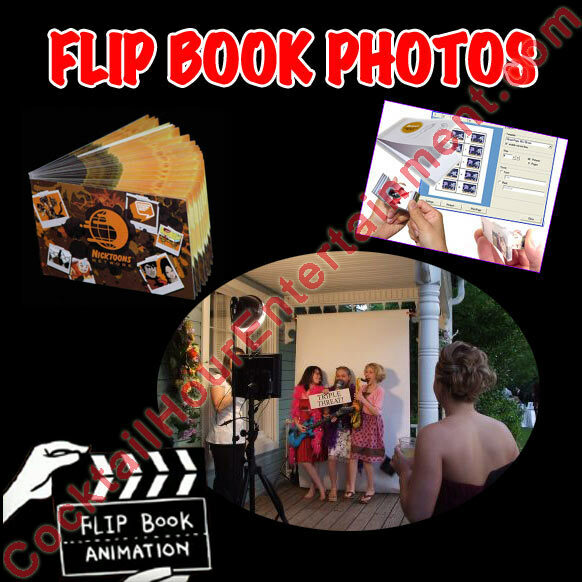 · PHOTO ALBUM with over 100 quality photos for you to take home that very day! 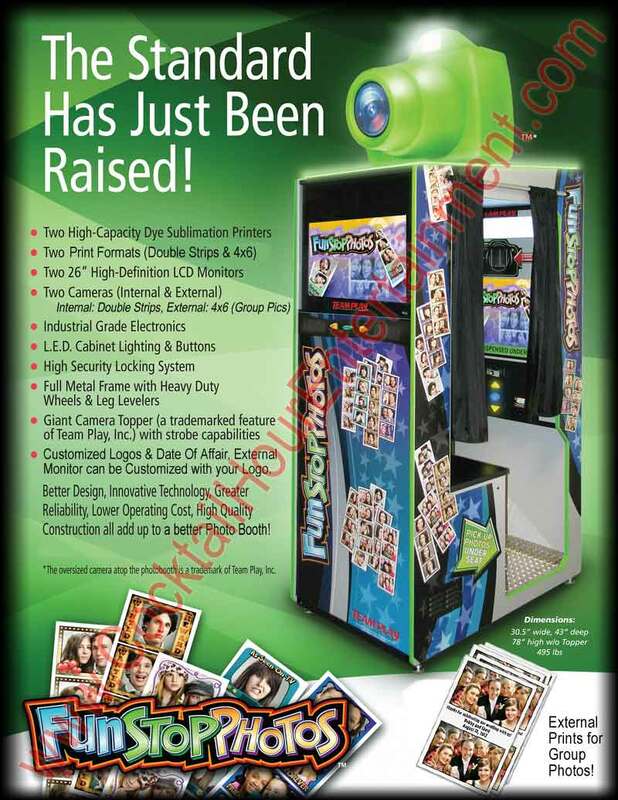 · CUSTOM CANDY BAR WRAPPERS Full Size Hershey Bars with custom graphic or photo printed on candy bar wrappers. 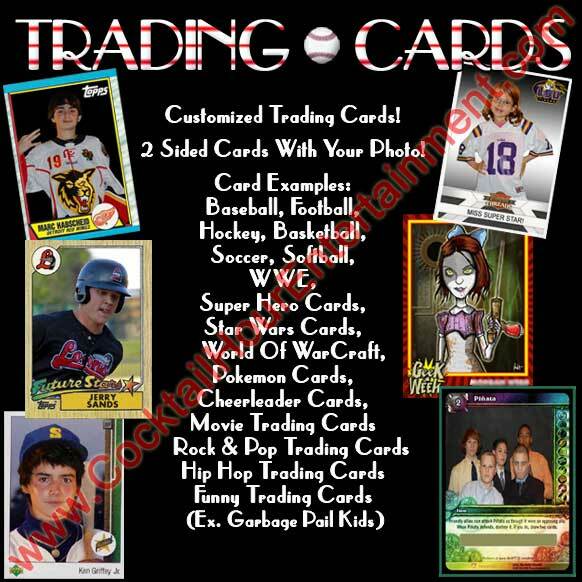 · SPORTS CARDS have your very own rookie card! Realistic sports cards will bear your name and personal statistics. Choose from baseball, football, hockey, or basketball. front side of the playing cards. Your personalized image(s) will be printed on quality stock (320 gsm/ 11 points), 2 1/2" poker size playing cards. All 52 cards plus Jokers are included. This is a great addition for casino tables.